How the dental team at our Matthews, NC, office can rejuvenate your look! Have dull or misshapen teeth got you down? Here in Matthews, NC, our cosmetic dentist Dr. David Feeney wants to make sure that you have a smile that you feel proud of. Here are some of the ways we can enhance your smile through the wonders of cosmetic dentistry! 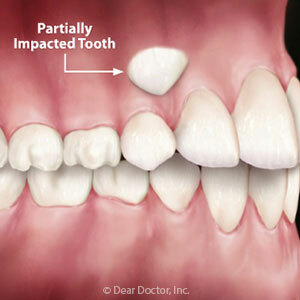 Do you have a tooth that is a little uneven or perhaps just a little too pointy? If so, the best way to even out the tooth and make it blend with the rest of your smile is to get tooth reshaping from Dr. Feeney. This non-invasive cosmetic technique involves shaving off very small amounts of enamel from the teeth to improve their overall shape and size. If you want to hide a small imperfection such as a discoloration, chip, crack, or gap between your teeth, this simple cosmetic treatment could easily hide these issues and improve the look of your smile in just one visit. During bonding, our dentist will use a tooth-colored resin to cover up any imperfections on a tooth. Once the bonding resin has been shaped, we will then harden it into place using a dental laser. Are you dreaming of a brighter smile? Are you dealing with yellow stains that make you feel embarrassed of your appearance? Luckily, professional teeth whitening offers a quick treatment with visible results after just one session. Imagine getting your smile up to five shades whiter in just one hour! Teeth whitening is perfect for those dealing with dull, yellowing smiles who want to get a more radiant set of pearly whites before a special occasion or event. Sometimes you are dealing with more widespread or serious cosmetic imperfections that have really taken a toll on the overall appearance of your smile. When this is the case, porcelain shells can save the day. By bonding these ultra thin tooth-colored caps to the front of your teeth, we can alter everything from the shape and size of multiple teeth to the brightness and straightness of your smile. If you want to get a fresh new look, then it’s time to contact our cosmetic dental office in Matthews, NC, today to schedule a consultation with Dr. Feeney. Dial (704) 847-1000 today, so that we can talk about the many ways we can help you get your dream smile!